Rusk County Amateur Radio Club: Congrats to Michael Searcy, WX5WMS! 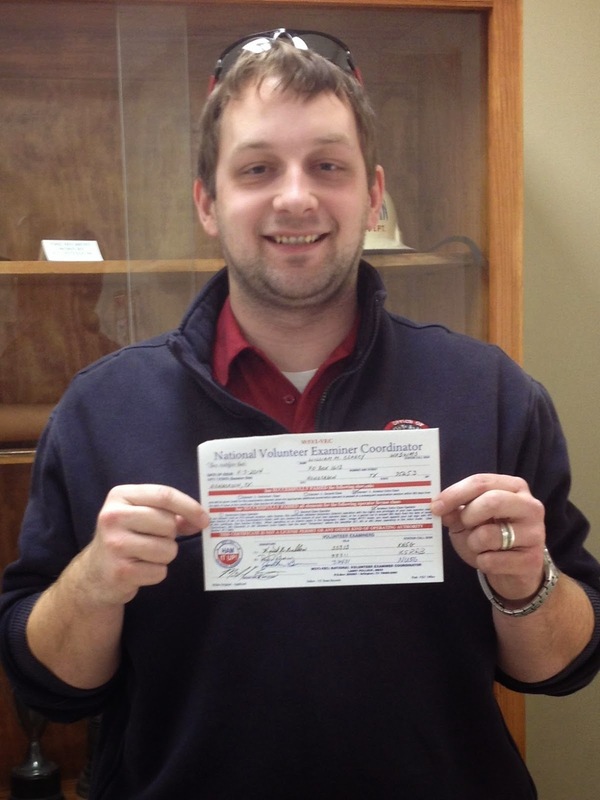 The latest member of the Rusk County Amateur Radio Club to pass his Amateur Extra Exam is Michael Searcy, WX5WMS. Michael up-graded from General Class on Friday, November 7, 2014. This was the second exam session the newly formed, Rusk County Volunteer Examiner Team has conducted for local HAM operators. The Rusk County Volunteer Examiner Team is prepared to provide Amateur Radio License testing to club members and non-members in the Henderson, Rusk County area. Federal Communications Commission regulations require that at least three licensed Amateur Radio Operators, be present to administer a test for Amateur Radio licenses, and license up-grades. The Rusk County testing team administers test under the W5YI VEC organization, based in Arlington, Texas.